Since it began in February 2018, more than 28 congressional staff members have participated in Farm Foundation’s Farm & Field Congressional Fellowship Program. 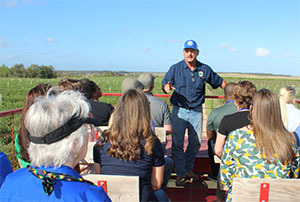 The program is an opportunity for congressional staff members to experience food and agricultural enterprises first hand, and to talk to the owners and operators of those businesses about the issues that they address on a daily basis. Each three-day program targets a selected agricultural region of the United States. Participants see a variety of agricultural production, processing and marketing systems. Each program includes opportunities for participants to have one-on-one interactions with farmers, researchers, processors and other industry leaders, as well as agency and local government leaders, to discuss timely issues and challenges facing food and agriculture in that region. Discussions range from water quality, sustainability and technology, to marketing and global trade. Program participants are able to see first-hand how public policies’ impact day-to-day activities across the food and agriculture value chain, as well as to build networks of experts on a variety of issues to call on in the future. 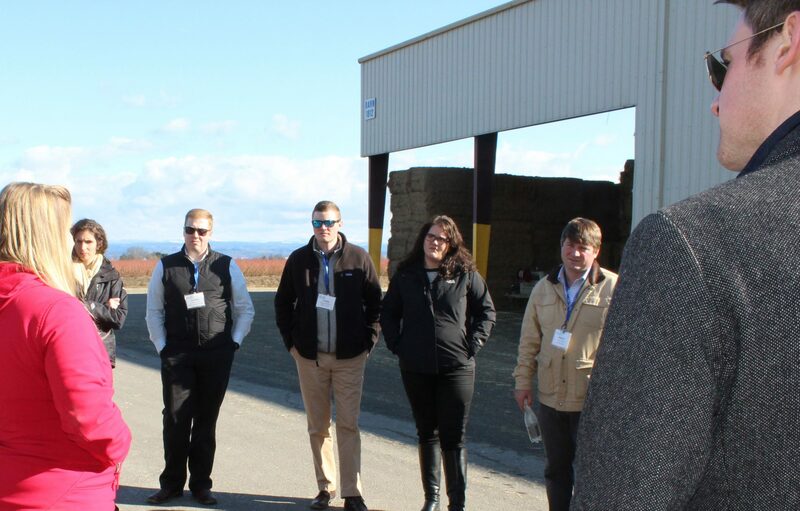 Participants in the February 2019 Congressional Fellowship Program learned about the straw industry at Bossco Trading in Oregon.